By selecting the “Accept License Agreement” button, you are agreeing to be bound by the terms of this Agreement. This Agreement, in conjunction with the receipt that accompanies each purchase from Fontspring.com (“Fontspring”), constitutes the complete agreement between you and Fontspring. You may not under any circumstances embed the licensed fonts into software or hardware products in which the fonts will be used by the purchasers of such products. Such use requires a different license which may be offered by the Foundry through Fontspring. 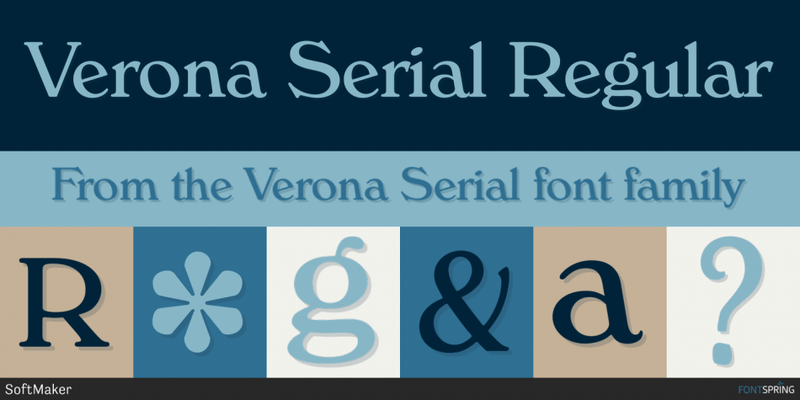 Please contact support@Fontspring.com for further information. This Agreement is effective until terminated. This Agreement will terminate automatically without notice from Fontspring or the Foundry if you fail to comply with any provision contained herein. Upon termination, you must destroy the written materials, the Product, and all copies of them, in part and in whole, including modified copies, if any. Fontspring may, from time to time, update the Product. Product upgrade pricing may apply. Fontspring warrants the Product to be free from defects in materials and workmanship under normal use for a period of twenty one (21) days from the date of delivery as shown on your receipt. Fontspring entire liability and your exclusive remedy as to a defective product shall be, at Fontspring option, either return of purchase price or replacement of any such product that is returned to Fontspring with a copy of the invoice. Fontspring shall have no responsibility to replace the product or refund the purchase price if failure results from accident, abuse or misapplication, or if any product is lost or damaged due to theft, fire, or negligence. Any replacement product will be warranted for twenty one (21) days. This warranty gives you specific legal rights. You may have other rights, which vary from state to state. EXCEPT AS EXPRESSLY PROVIDED ABOVE, THE PRODUCT, IS PROVIDED “AS IS”. NEITHER Fontspring NOR THE FOUNDRY MAKES ANY WARRANTY OF ANY KIND, EITHER EXPRESSED OR IMPLIED, INCLUDING, BUT NOT LIMITED TO THE IMPLIED WARRANTIES OF MERCHANTABILITY AND FITNESS FOR A PARTICULAR PURPOSE. The entire risk as to the quality and performance of the Product rests upon you. Neither Fontspring nor the Foundry warrants that the functions contained in the Product will meet your requirements or that the operation of the software will be uninterrupted or error free. NEITHER Fontspring NOR THE FOUNDRY SHALL BE LIABLE FOR ANY DIRECT, INDIRECT, CONSEQUENTIAL, OR INCIDENTAL DAMAGES (INCLUDING DAMAGES FROM LOSS OF BUSINESS PROFITS, BUSINESS INTERRUPTION, LOSS OF BUSINESS INFORMATION, AND THE LIKE) ARISING OUT OF THE USE OF OR INABILITY TO USE THE PRODUCT EVEN IF MYFONTS OR THE FOUNDRY HAS BEEN ADVISED OF THE POSSIBILITY OF SUCH DAMAGES.